When Dan Harmon (The Sarah Silverman Show) debuted his single camera sitcom in September 2009, it was sold as a slacker hang-out comedy. It starred The Soup’s Joel McHale as a sarcastic, cynical jerk studying with a group of roughly defined types, including the hot blonde (Gillian Jacobs’ Britta), the super-nerdy young adult (Danny Pudi’s Abed), the jock (Donald Glover’s Troy), the sweet-hearted single mother (Yvette Nicole Brown’s Shirley), the smart-but-innocent young girl (Alison Brie’s Annie) and the old codger who says and does inappropriate things all the time (Chevy Chase’s Pierce). The first few episodes in Community’s run suggested it was happy to be a relaxed, goofy, sometimes cartoonish show about these people following bland sitcom story lines at a low-rent college in the hope of graduating and starting their next step in life. Notably, the pilot, shot months before the death of John Hughes, wore its references on its sleeve: a group of people stuck together in a room where none of them really want to be, but life has forced them together? It was a simple take on The Breakfast Club’s format that provided character dynamics and hijinks, but, secretly, it was an early indicator of where the show could take these seemingly simple character types once they adopted the beats and tropes of a genre of pop culture creation. 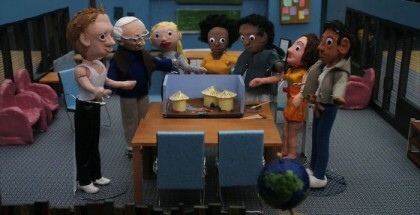 The latter half of Community’s first season sees the series dive head-first into high-concept faux-hijinks that lead into something much more compelling: a power struggle in the ‘Study Group’ (the core character set) prompts Abed to take the lead in a Goodfellas pastiche, with fried chicken fingers instead of drugs and McHale’s Jeff losing grip on his role as leader. When this takes place, the notion of power dynamics shifting feels like something big for the viewer – if, of course, it lasts beyond the episode. It does. The reactions from Jeff at losing what he has tells a lot about his evolution from cynical man stuck in a college to cynical man who has found a way to survive and make sort-of friends at the same time. It is funny to see the man who had such control over 6 other people struggle to contain them, but it is doused in a sadness that suggests Jeff’s life now revolves around being part of the group instead. Of course, on the sidelines, the often-mocked Pierce throws in moments of old age wisdom that remind Jeff how important people are, but also how unimportant the notion of being in charge really is – before falling over again, derailing the point entirely. 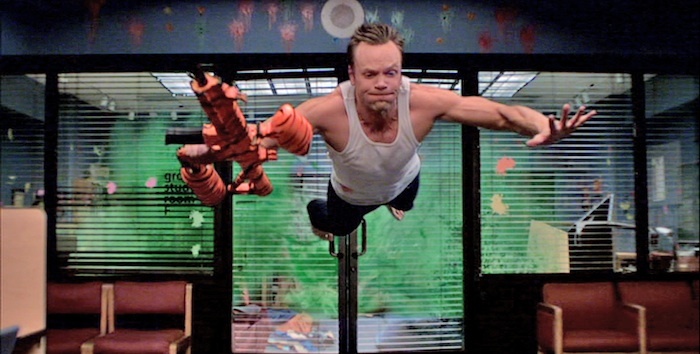 The most-talked about moment, though, is what could be referred to as Community’s flagship episode: Modern Warfare, directed by Fast & Furious’ Justin Lin, which sees the entire college in the midst of a game of paintball for early course selection the next semester, a prize that seems too good to be true. Enter all the tropes of a big action blockbuster – the dialogue as silly as it is gruff, the team-mate who seems good but is revealed to be a double-crosser, the one who sacrifices themselves for the good of the unit, the third act twist when the boss’ henchman comes in and un-evens the odds, the slow-motion gun fighting, the overlong death scene – but all in paintball form. An inspired way to dissect a style of cinema in 20 minutes of TV, it hits hard and is now the go-to episode for indoctrinating people into the show. It is much more a stand-out episode than a standard one, but the idea of a typical Community episode changes after Modern Warfare, as Season 2 shapes itself in vastly different ways to the more gentle comedy of the first. Other notable chapters include Jack Black as a new addition to the Study Group, whose involvement throws the show’s entire balance out of whack, including the opening titles in a delicious bit of meta humour. In another, pottery class for Jeff becomes the source of jealousy, as a handsome doctor shows off his gift for clay, while the other half of the group recreate The Perfect Storm in the middle of the college car park. There are 25 episodes in total and, while not all of them are sublime, there’s a lot going on in each – and not a single flaw in the casting, despite Ken Jeong offering the same character he has done in many films during the 2008-2013 period. 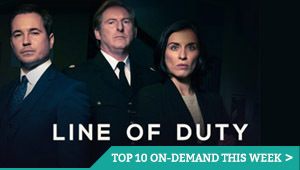 Pudi and Glover develop a chemistry that forms the greatest on-screen partnership in the programme (both hold their own, comedically and emotionally, against pros Chase and McHale), while John Oliver as Professor Ian Duncan, sadly underused until the fifth and potentially final season, is utterly brilliant at being loud, angry, annoyed, sarcastic, cynical and British. Season 1 of Community is a slow start for one of the most treasured TV shows on the internet, but the climb becomes a wonderful rush of laughs as you reach the end. It is one of the greatest sitcoms, period. While the show doesn’t show that at first, the evolution here clearly proves that letting creative people breathe and play rather than cancelling things quickly is a golden idea in a world of instant gratification. 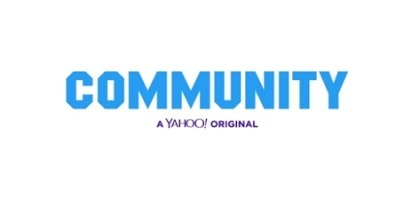 You can watch Community online in the UK on Netflix UK, as part of a £7.99 monthly subscription.